1.Palucka, A.K. and L.M. Coussens, The Basis of Oncoimmunology. Cell, 2016. 164(6): p. 1233-1247. 2.Junttila, M.R. 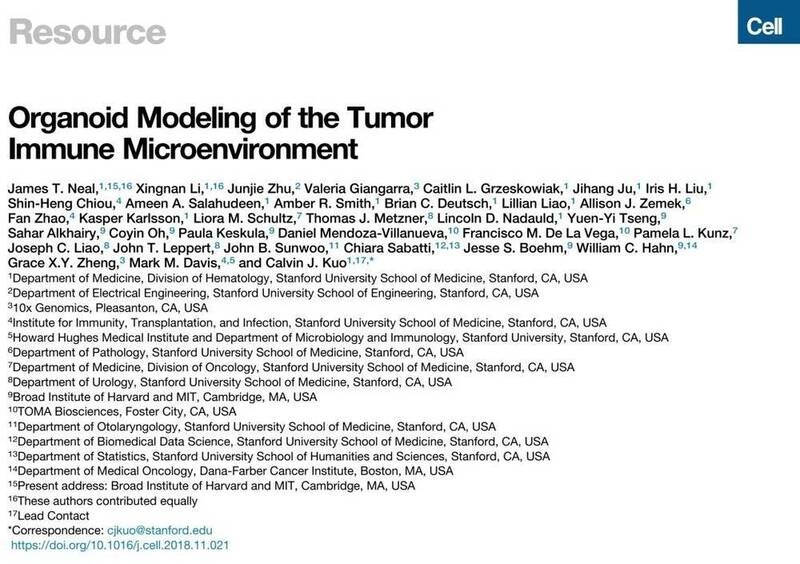 and F.J. de Sauvage, Influence of tumour micro-environment heterogeneity on therapeutic response. Nature, 2013. 501(7467): p. 346-54. 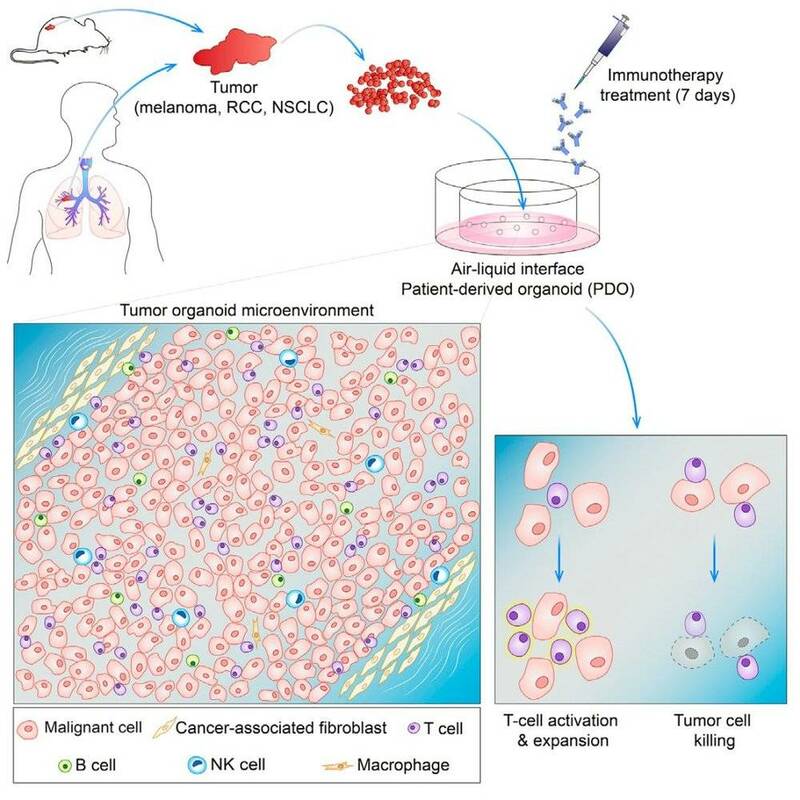 3.Dijkstra, K.K., et al., Generation of Tumor-Reactive T Cells by Co-culture of Peripheral Blood Lymphocytes and Tumor Organoids. Cell, 2018. 174(6): p. 1586-1598.e12. 4.Method of the Year 2017: Organoids. Nature Methods, 2018. 15: p. 1. 5.Li, X., et al., Oncogenic transformation of diverse gastrointestinal tissues in primary organoid culture. Nat Med, 2014. 20(7): p. 769-77. 6.Ootani, A., et al., Sustained in vitro intestinal epithelial culture within a Wnt-dependent stem cell niche. Nat Med, 2009. 15(6): p. 701-6. 7.Vlachogiannis, G., et al., Patient-derived organoids model treatment response of metastatic gastrointestinal cancers. Science, 2018. 359(6378): p. 920-926.